The Kotokoli live in the West African countries of Togo, Ghana and Benin. In Togo, they are concentrated in towns such as Sokode, which is located along one of Togo's ancient caravan routes. The settlement was given the name Sokode, which means "too close," because the town was frequently isolated by barriers built by tribal groups trying to control the caravan trade. The Kotokoli emigrated from what is now Burkina Faso into the Sokode region during the 1600s and 1700s. 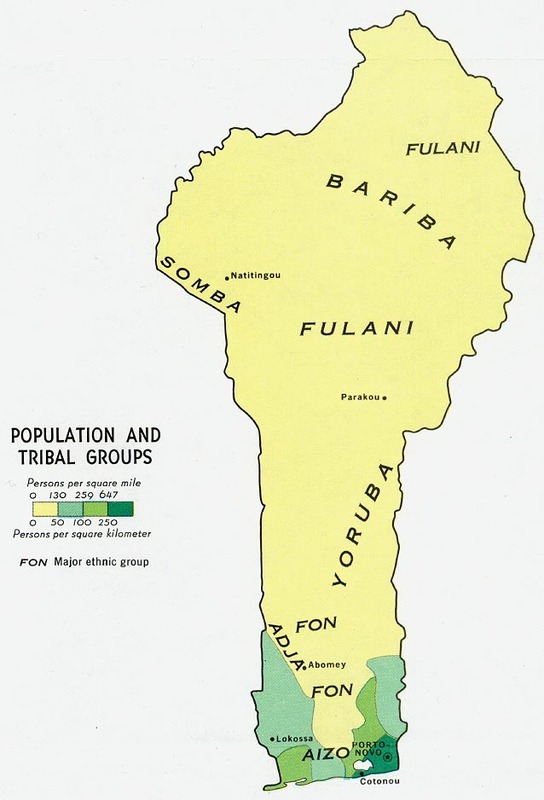 They arrived as a confederation of Gurma chiefdoms. Even today, the Kotokoli chief, or Uro, still resides in Sokode. In time, the Kotokoli developed a reputation for sharp and perhaps underhanded dealings in trade. The local merchants became annoyed and began calling them koto kolim, which means "they give and take back again." Eventually, the group became known as the Kotokoli. They are more properly known, however, as the Tem or Temba, because they speak Tem, a Niger-Congo language. Kotokolis are growing in numbers and in their social, economic and political impact. There is a Kotokoli Paramountcy (the seat of the high chief) in Ghana. Recently, the paramount chief appointed his national chief, Alhaji Salifu Haruna, with the high title of Wuro-Iso, whose court sits in Madina, Accra. The Kotokoli are primarily farmers, growing sorghum and yams as their staple crops. Millet, maize, beans, okra, groundnuts, and pumpkins are also raised. A variety of animals are kept, including cattle, donkeys, goats, sheep, pigs, and chickens. The cattle are used for religious sacrifices, marriage payments, and hides; their manure is also used for fertilizer. Although the Kotokoli drink milk, they do not milk their own animals. Rather, the milking is performed by the neighboring Fulani herdsmen, who are hired to help tend to the herds. The Kotokoli men's responsibilities involve tending to the livestock, clearing the land, and performing most of the agricultural labor. The women's responsibilities include gathering nuts, berries, wild grasses, and building materials from the forests, helping their husbands with the harvest, and performing all of the household chores. The highly developed art of trading is another important activity. The Kotokoli merchants regularly attend the local markets to trade their goods. Most of the Kotokoli live in houses that have round mud walls, with dirt floors, and cone-shaped, thatched straw roofs. The homes are clustered together in family compounds around a central courtyard. Surrounding most clusters is an enclosure, usually a high mud wall, so that outsiders cannot see inside the compound. Each local community has a ritual headman (usually the oldest in the lineage), who has the responsibility of maintaining good relations and social order among his people. The headman answers to the district chief, who answers to the Uro (supreme chief). Kotokoli marriages are usually arranged by the parents while the boy and girl are still infants. Before a marriage is complete, a bride-service must be performed by the prospective groom. This means that the young man must work on the farm of the girl's parents for a certain period of time. A substantial bride-price in livestock is also given to the family of the bride. Acceptance of these and other gifts donated by the groom makes the couple's union legitimate. Polygyny (having multiple wives) is permitted among the Kotokoli. However, according to Muslim law, a man must not have more than four wives. The first wife enjoys a superior status over the other wives. Each wife lives in a separate hut. The Kotokoli have retained their old custom of praise singing. Throughout the country of Togo, during public occasions, the Kotokoli recite their family lineage and praise their chiefs for their heroic deeds. Praises to the chiefs are offered by a musician playing a flute, rather than through singing. The Kotokoli believe that praises sung orally are too crude, and that the voice does not do justice to the deserving chiefs. The Kotokoli were first exposed to the Islamic religion though contacts with the Hausa and Fulani herdsmen in the 1700s. By the mid-1800s, Kotokoli territory had been swept by Muslim influence, causing religious wars in the area. Although the Uro (chief) tried to rid his country of the Muslim mercenaries, he was unsuccessful. The Kotokoli eventually converted to Islam in the 1800s after the Chokossi people further spread their Muslim beliefs throughout Kotokoli territory. Today, almost all of the Kotokoli are Muslim, as is the current Uro. They faithfully follow the practices of Islam. These include affirming that Allah is the only god and Mohammed is his prophet, praying five times a day, giving alms generously, fasting during the month of Ramadan, and making at least one pilgrimage to Mecca if possible. The Kotokoli have many physical and educational needs. Christian medical teams, humanitarian aid workers, and teachers may have the greatest opportunity to share the love of Jesus with the Kotokoli in practical ways. Increased missions efforts and evangelistic materials are also needed to reach these people with the message of salvation. Above all, teams of intercessors are needed to faithfully stand in the gap for these precious people, tearing down the barriers that keep them separated from the Truth. Only then will they be able to receive the Gospel as it is presented to them. * Scripture Prayers for the Kotokoli, Tem in Benin. * Ask God to send forth long-term missionaries into West Africa to work among the Kotokoli. * Ask God to send Christian medical teams and humanitarian aid workers to minister to the physical needs of the Kotokoli. * Pray that God will give the few Kotokoli believers boldness to share Christ with their friends and families. * Pray that African Christians will be compelled to take the Gospel to their unreached neighbors. * Ask God to raise up prayer teams who will begin to intercede for the Kotokoli. * Pray that local churches will be planted among the Kotokoli of Togo, Ghana and Benin.